PEAVEY Vypyr 100- моделирующий гитарный комбоусилитель с процессором эффектов. 11 редактируемых эффектов предусилителя "Stompbox"
Размеры в упаковке(ШхГхВ): 40,64 х 80,645 х 64,135 см. Featuring 24 amp channel models -- both the clean and distorted channels of 12 popular amps for the first time anywhere -- plus 11 editable preamp "stomp box" effects and 11 editable post-amp "rack" effects with dual-parameter control. Players can use up to five effects simultaneously. When used with the optional Peavey Sanpera foot controller, the possibilities further expand from 12 in-amp presets to 400 programmable presets, with an on-board looper and more. The Vypyr also acts as its own computer audio interface, with a built-in studio-quality USB 2.0 output on most models that is recognized by computers as an audio device. The entire six-model Vypyr Series features the easy-to-use Peavey WYSIWYG (What You See Is What You Get) interface. 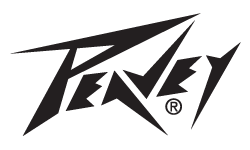 Peavey proudly introduces its new Vypyr Series modeling guitar amplifiers, the most technologically advanced and affordable guitar modeling amplifiers available. With double the processing power, models and effects of competitive modeling amplifiers, the Vypyr Series dramatically redefines the power and scope of modern guitar amplification. Vypyr amplifiers are based on a combination of powerful 32-bit, floating-point SHARC processors and patented TransTube analog circuitry. Featuring 24 amp channel models--both the clean and distorted channels of 12 popular amps for the first time anywhere--plus 11 editable preamp "stomp box" effects and 11 editable post-amp "rack" effects with dual-parameter control. Players can use up to five effects simultaneously. When used with the optional Peavey Sanpera II foot controller, the possibilities further expand from 12 in-amp presets to 400 programmable presets, with an on-board looper and more. The Vypyr also acts as its own computer audio interface, with a built-in studio-quality USB 2.0 output on most models that is recognized by computers as an audio device. The entire six-model Vypyr Series features the easy-to-use Peavey WYSIWYG (What You See Is What You Get) interface.